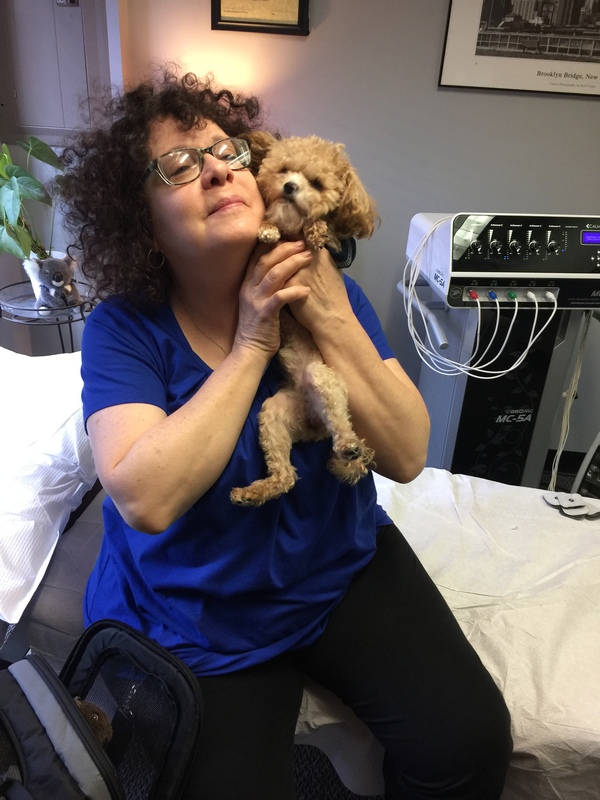 Gina, who has been treating with us for post-surgical neuropathy, swears her little dog helps lessen stress and lower her pain level. If bringing your pet to your Calmare treatments makes you feel better, bring him or her along! If you are living with treatment-resistant chronic pain, consider an alternative medicine therapy, such as Calmare scrambler therapy. For more than a decade, Calmare has been FDA-cleared, has no side effects and is painless to undergo. Best of all, there are no opioids, prescription drugs or any medications at all connected with undergoing Calmare. READ: How Does Scrambler Therapy Work? This can be particularly helpful to people who have been reliant upon prescription medication for a prolonged period of time and who may benefit from a drug-free pain therapy alternative. Chronic pain puts too many good people–from children to seniors–on the sidelines of living. I believe so strongly in the healing power of scrambler therapy, I use this technology exclusively to treat various types of neuropathy, in varying degrees of severity. We invite you to reach out and let’s discuss if Calmare can help you or a loved one finally defeat the monster we call pain. Call (201) 933-4440 or email us privately about your case at info@calmaretherapynj.com.